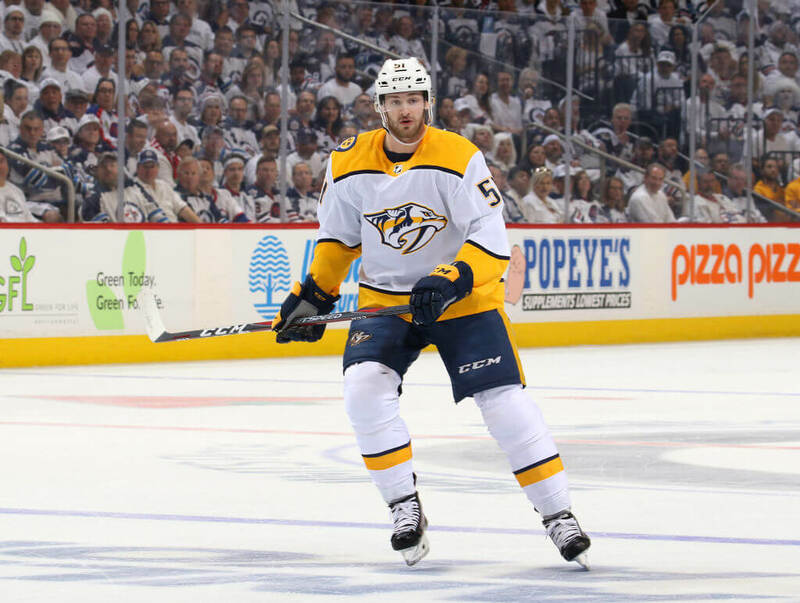 An arbitrator for the NHL has reduced the suspension of Nashville Predators forward Austin Waston after he pled no contest in July to a domestic assault charge. Watson was served with a 27-game suspension from NHL Commissioner Gary Bettman. ON Thursday, arbitrator Shyam Das reduced the suspension to just 18 games. Each domestic violence case in the NHL is examined on a case-by-case basis with no official policy in place. Watson was arrested on June 16 after he engaged in an argument with his girlfriend. An eyewitness flagged down a police officer and notified them that the NHL player had shoved his girlfriend during the argument. After examing the alleged victim, officers said they found red marks on her chest. Watson was charged with and pleaded no contest to domestic assault on July 24.